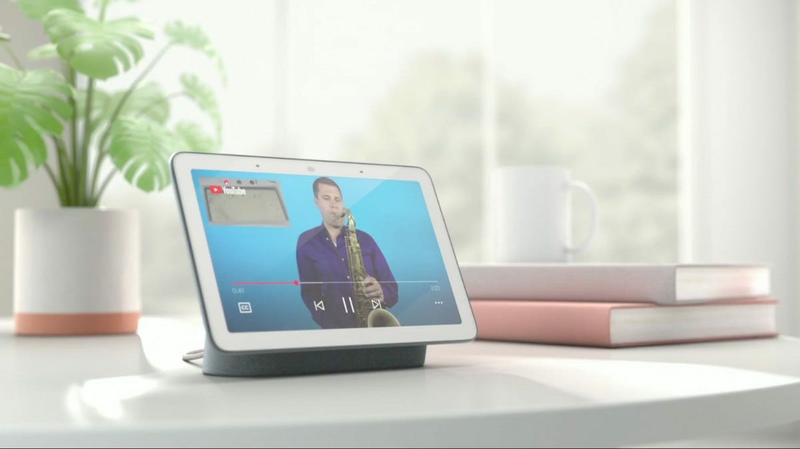 Google announced the Google Home Hub—the companies very own smart display that aims to compete with Amazon’s Echo Show. Google Assistant smart displays already exist. The Lenovo Smart Display and the JBL Link View have been on the market for a while now, but it was only a matter of time until Google actually came out with its own model. 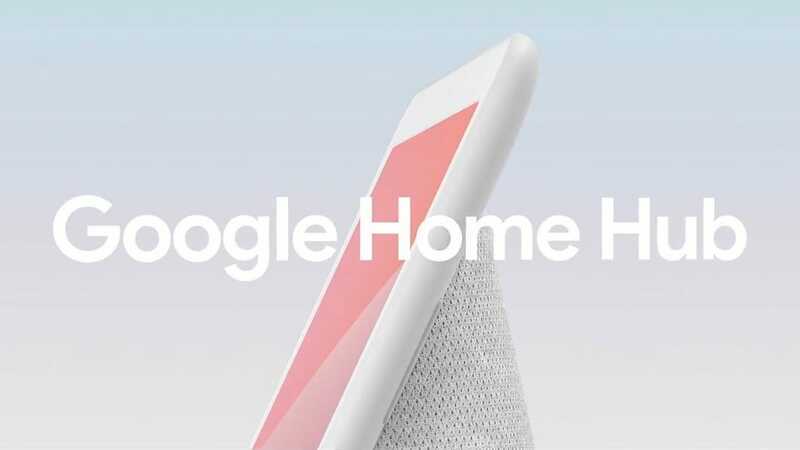 While this is Google’s very first smart display, the Home Hub has a very familiar color palette that matches that of the company’s other Home products, complete with the white and gray color scheme and the fabric speaker cover. 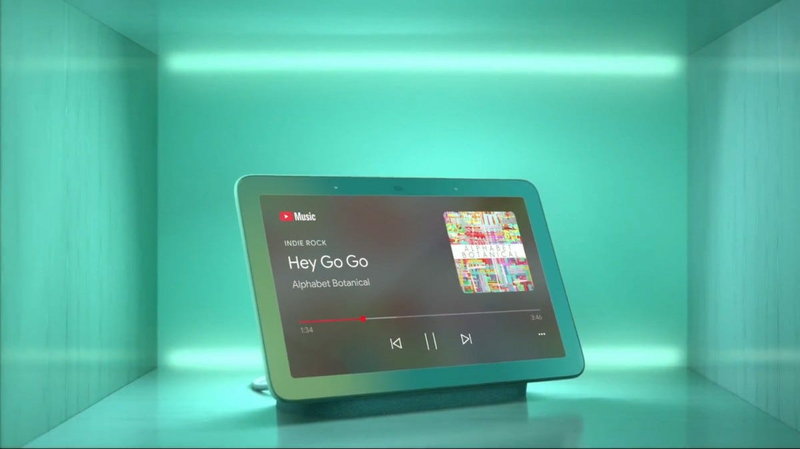 From the front, it looks like any other smart display, but from the side and the back, you’ll see the Home Hub’s full profile where it sports a cylindrical base which houses the speakers and, presumably, the bulk of the hardware. The display measures in at 7″, and to what may be a surprise to you given recent trends with the Echo Show and recently announced Facebook Portal, it doesn’t include a camera, so video chatting is out of the question. As for software features, it’ll do pretty much everything that the existing Google Assistant smart displays have been able to do, like get a visual representation of weather info, traffic, sports scores, calendar events, and more. Plus, you can stream video (including YouTube), as well as control your smarthome devices with Home View, which is a quick-access menu that gives you, well, quick access to all of your smarthome devices. Nest devices, especially have deep integration with the Home Hub, so if someone rings your Nest Hello, the video feed will automatically pop up on the screen. When the Home Hub isn’t in use, it’ll grab your photos from Google Photos and display them on the screen as a sort of digital picture frame. Google Photos albums as personal-slideshows have been a long-standing Chromecast trick so it’s nice to see this feature on the Hub. 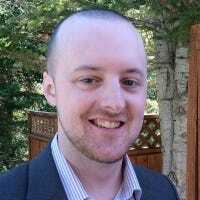 Even better, it uses machine learning to pick and choose only the best photos that you take and upload to Google Photos, so you won’t have to worry about it displaying your less-than-perfect photos that are blurry or photos of receipts, parking zones, or mundane photos you snap as you go about your day. The Home Hub is available for pre-order right now and will be available to purchase on October 22 for $145 in either white, black, pink, or a pale green. In comparison, the Lenovo Smart Display and the JBL Link View are priced at $199 and $249, respectively, and the Echo Show is $229. So the Home Hub rings in significantly cheaper than the competition. The Apple TV is a great way of getting big screen entertainment onto your television, and with more streaming services popping up daily, it gets better and better. However, it could always be complemented by some awesome accessories. But which? 3D printers have really hit their stride, with dozens of models to choose from. Monoprice, well known for its cables and other components, has a growing number of printers including the reasonably priced Voxel 3D. You’ve probably noticed that businesses like Walmart and Best Buy are still pushing the iPhone 6 and 7. Well, people are buying them, and not just for the headphone jack. Oddly enough, you can thank Apple for the iPhone’s resilience. Itching to spend some money? Now’s the time to buy yourself a gift at a discount. Today’s deals range from a $24 Google Home Mini to a $300 Lenovo Ideapad. But as always, we have our favorites. Right now, the internet’s full of some wild deals and discounts. These deals range from $200 Apple Watches to $25 hydration backpacks, but as always, we have a handful of select favorites. Falling prices have moved solid state drives from a premium upgrade you’d save for the boot drive on your main computer to something inexpensive enough that you can throw a portable SSD into your laptop bag and go. Here are our top picks.